Kjetil Nordin is a champion skydiver, dual-degree holder, and a family man. In his spare time, however, the Denmark resident decided to hand-crochet a blanket featuring a level map from Super Mario Bros. 3. (Or the Super Mario All-Stars version for SNES, as eagle-eyed Redditors pointed out.) 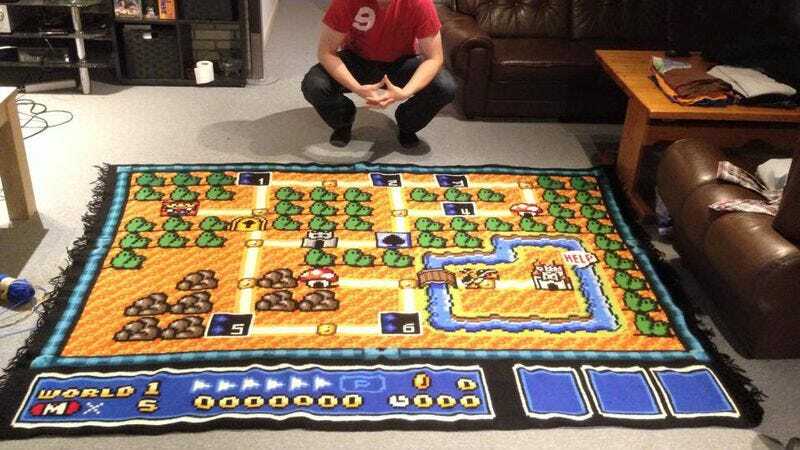 This was no small undertaking: The nearly seven-foot-by-six-foot rectangular blanket took him six years and 800 hours to complete, mainly because he was obsessed with making sure every detail was faithful to the original game’s colors and design. In fact, Nordin was so dedicated to the nitty-gritty that he even undid some of his work because it wasn’t quite right: “When the water was halfway finished I saw that I had chosen the wrong shade of blue,” he told NRK. “It was almost purple, and very ugly, so I had to undo all of it. That took an extra week.” Bet even that lousy Bowser would appreciate Nordin’s efforts.